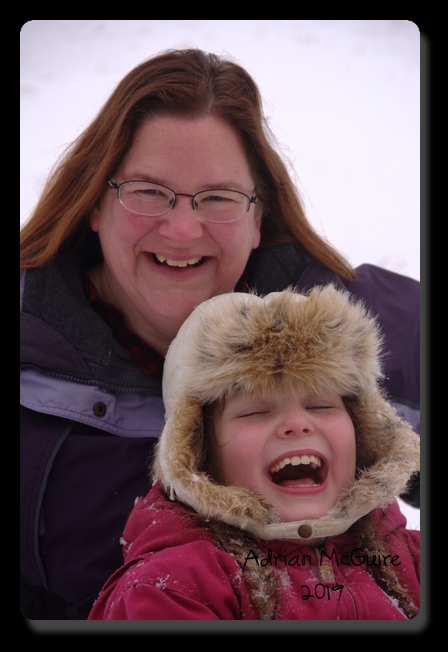 Hello, this is some random person sneaking onto Momma’s blog. She does not know I am here. 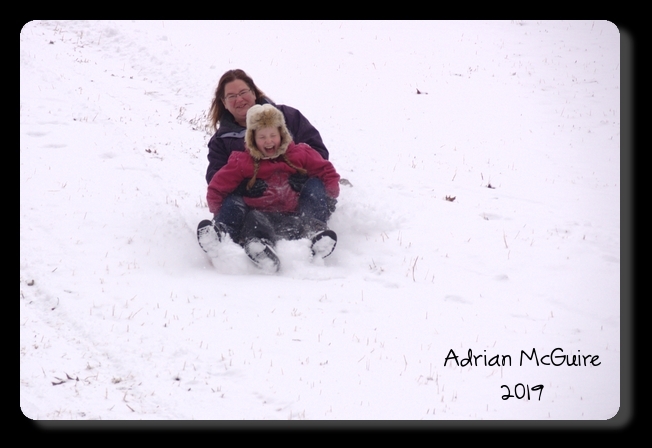 I took some pictures of her at Ox Bow Park doing something strange with a child… SLEDDING! She had fun and laughed a lot. I think she did not see me do it. I hope she does not see this blog post. Signing off, Adrian.